This Double-Sided Retractable will catch attention from both sides of traffic. Perfect for indoor signage for trade shows, events, and stores. 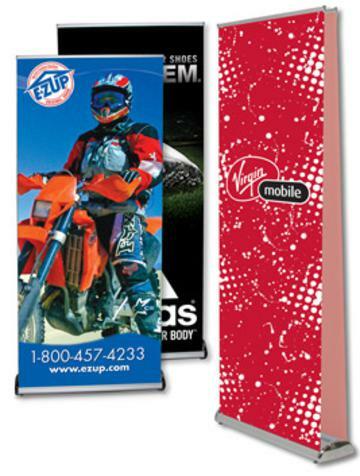 Banner Size (WxH): 33" x 81"
Banner Display Size (WxH): 33" x 79"